Enter your Maxicon container tracking number below, should have format MXCU1234567, get the real-time Maxicon container status. Maxicon is one of the leading NVOCCs in SOUTH EAST ASIA and INDIAN SUB-CONTINENT with active presence in Middle East and Upper Gulf. Maxicon is one of the largest container carrier from India to Bangladesh, ranks in the top three “SOC” players in Chennai Port and sole operator of containers in the port of Paradip, India. If you have problem with our container tracking system, please track your container directly on the Maxicon Container Line website. If you get no tracking information from Maxicon official website, you’d better contact Maxicon Container Line. When you ship with Maxicon Container Line, you will get a Maxicon container tracking number with format MXCU1234567, MXCU is Maxicon Container Line’s prefix. 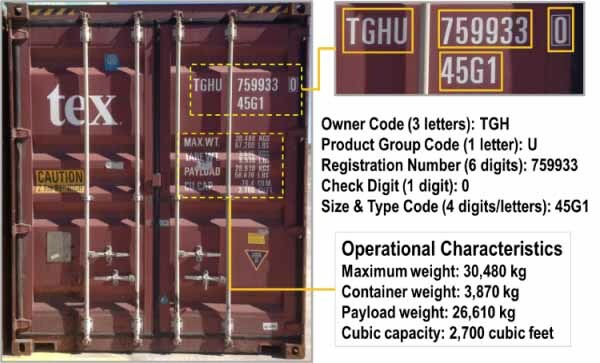 Know more Maxicon container tracking number information from below picture. If you have problem with our Maxicon Tracking system, submit your problem here, we will help you as soon as possible. Declare: We can NOT contact carrier or others on your behalf, we can only help you track your package with your Maxicon Container tracking number on official tracking system.